Odor Check Odor and Moisture Removal System - Just place in skates each night to absorb moisture and odor. Helps keep skates dry and odor free. Can actually preserve the life of the skates by keeping the lining dryer and less prone to "rot." 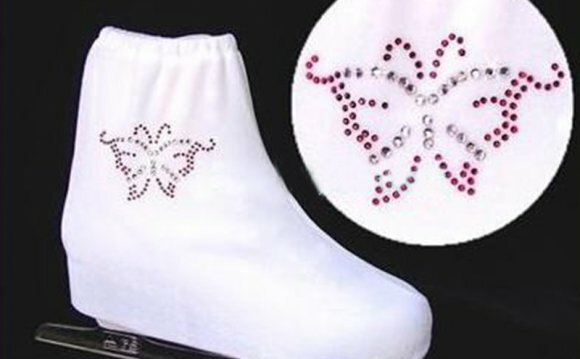 Lycra Boot Covers- one size fits most figure skates. Various colors available. Display on car, fridge, locker, anything metal. Adult "Magic Gloves" Various colors from top left: tan, navy, grey, red, black, white, brown. Mondor 642 Antron Lycra boot covers. JR size up to boot size 2. AD size for boots size 3 and larger. 54", 63", 72", 81", 90", 100", 108", 112", 120"